Welcome to Longfellow Middle School! Longfellow Middle School is a school that is unique to the Coulee Region. Under the auspices of the School District of La Crosse, Longfellow provides thematic learning to “all who enter here." Longfellow clinicians believe in guiding the 21st Millennial Century learner in a manner that is both meaningful and memorable. Six Degrees is an improvisational group designed to engage middle level students in social issues that are of importance to them. These social issues can include everything from smoking, to drug experimentation, friends, conflicts, bullying, violence, peer pressure, etc. The skits are designed with the students and include very creative ways to speak to audiences. 1. The ideas and issues come from the students. 2. The audience has an opportunity to talk to the students when they are in character. This conversation includes questions directed at actors as to their motivations and intentions in the skit. When this questioning session is over, students are taken out of character and the audience has an opportunity to ask them questions as themselves. 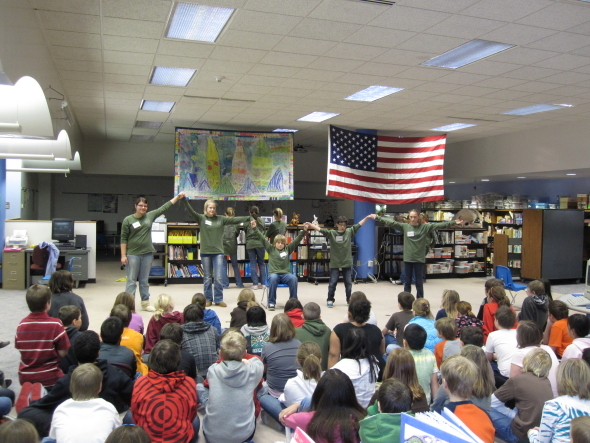 6 Degrees will perform throughout the rest of the school year for elementary, middle, and adult audiences.